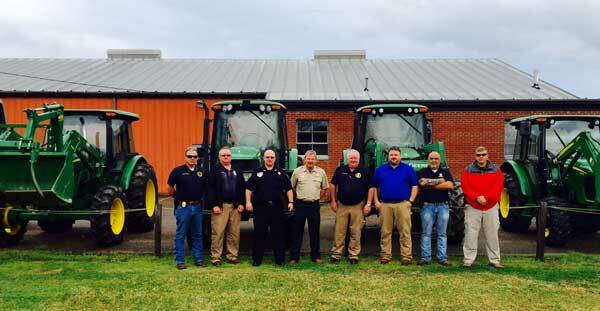 New Albany Police Chief, Chris Robertson, and the Union County Sheriff, Jimmy Edwards discuss arrests in the recent investigation of stolen farm tractors. Arrests of more local individuals accused in connection with numerous stolen farm tractors were announced Thursday afternoon, March 29th. Lee Goolsby, age 72: six more theft charges, in addition to two other grand larceny charges brought against him last week by the New Albany Police Department (NAPD). 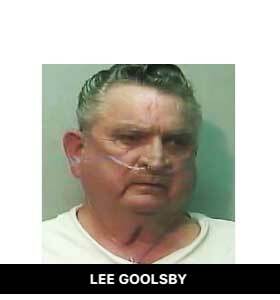 Goolsby has had other criminal convictions going back scores of years. 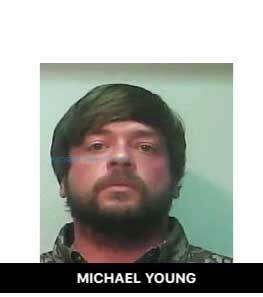 Michael Young, age 34: four counts of receiving stolen property and two counts of mutilating VIN numbers. Blake Roberts, age 52 (No photo available): receiving stolen property. Charles David Snipes, age 67(No photo available): receiving stolen property. “We have one more arrest to make of an individual for receiving stolen property,” Edwards said. New Albany Police Chief Chris Robertson and Sheriff Edwards said the investigation is continuing and more arrests may be made. Robertson and Edwards said that, in addition to NAPD and the Union County Sheriff’s Office (UCSO), other law enforcement agencies involved in the investigation include investigators from the office of District Attorney Ben Creekmore, the Mississippi Bureau of Investigation, the Pontotoc County Sheriff’s Office and the Mississippi Department of Agriculture (MDA) theft bureau. After the public announcement of the current results of the investigation, one more arrest was made. 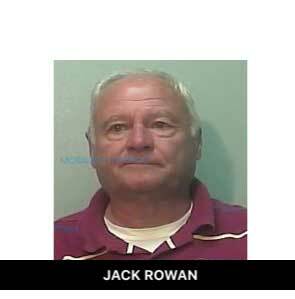 Jack Rowan, age 72 was arrested at 4:13PM today and charged with receiving stolen property. This brings the current total to five arrests in this investigation. Anyone with additional knowledge about stolen farm equipment is asked to contact local law enforcement or the MDA theft bureau. Would you want this crew on your private property? Let us know what happens to them. Seems like they are trying to keep it hush-hush.